Great churches are not built on the gifts and talents of a few people, but on the willingness of many. Our heart is for you to connect and begin serving on one team, at one worship service, one Sunday per month. It is a privilege to serve during any of the services in both the Sanctuary and Worship Center. Training is provided for all roles. Sanctuary opportunities include Communion Set-Up, Communion Team, Usher, Acolyte and Lector. 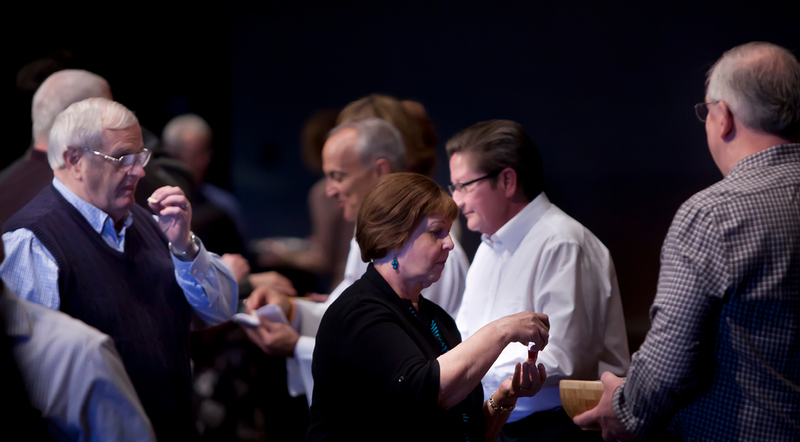 Worship Center roles include Coach, Communion Set-Up, Section Host, Greeter, Communion Clean-Up. If you have a gift for singing, playing an instrument, dramatic reading, or acting, there are multiple opportunities to serve in all worship services and other events throughout the year. Help run sound, lyrics and lights in both the Sanctuary and Worship Center for our weekend service and other special services throughout the year. Specialized training is provided. Help transform the worship spaces as part of our décor team. Thanksgiving, Advent, Christmas, Holy Week and Easter are wonderful opportunities to enhance the worship environments. Help create the visual imagery used during worship services and as décor around the church. Contact Ryan Hammer at rhammer@goodshepherd-naperville.org or Craig Parsons at parsons@goodshepherd-naperville.org.